Mr. Steven P. O’Day, J.D. 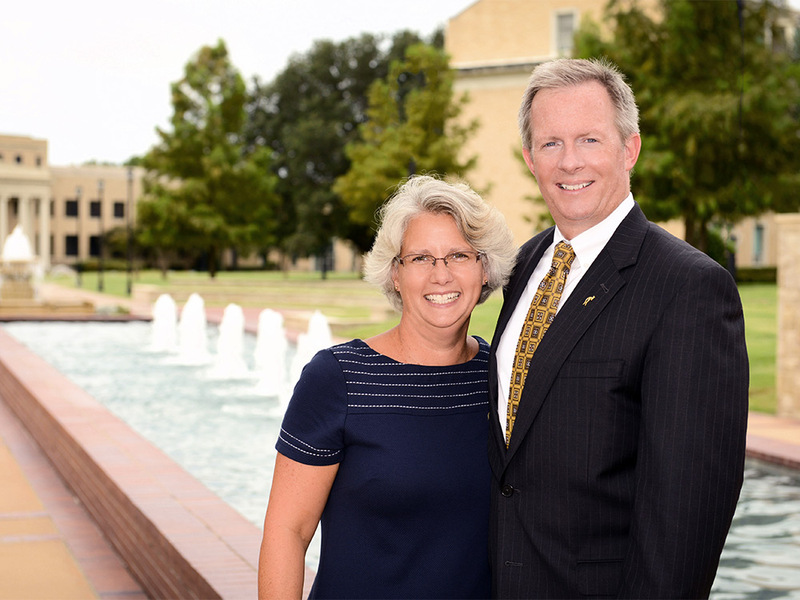 Steven P. O’Day took the helm as the 16th president of Austin College on October 30, 2017. He came to Austin College from Lebanon Valley College in Annville, Pennsylvania, where he had most recently served as vice president of strategic initiatives and secretary of the college. 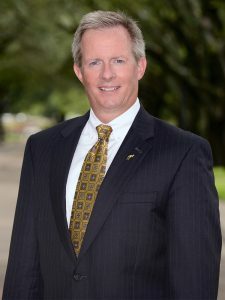 During his four years at the college, President O’Day also served as interim vice president of advancement and special assistant to the president. In addition, he held leadership roles there in institutional strategic planning and campus master planning. He had managed several major capital improvement projects, including the construction of a $20.8 million facility that will house several of the college’s health professions academic programs. President O’Day also was instrumental in record-setting fundraising efforts, oversaw government and community relations, and served as a member of the LVC senior leadership team. Prior to his work at Lebanon Valley College, President O’Day spent 15 years at Franklin & Marshall College in Lancaster, Pennsylvania, holding several senior leadership roles. He began his career in higher education as the head coach of women’s soccer from 1997 to 2007. O’Day was appointed associate dean for advisement at F&M in 1998, a position he held until 2001 when he became associate dean for student academic affairs. He remained in that position until receiving appointment as senior associate dean of the college in 2007, a role he held throughout the remainder of his tenure at F&M. In addition, O’Day was an adjunct professor of business, organizations, and society for six years and was the college’s pre-law advisor from 1998 to 2012. His responsibilities at Franklin & Marshall centered largely on thoughtful enrollment growth and enrichment of the overall student experience through the creation of a College House System and expansion of residential capacity. The House System at F&M was a bold initiative designed to reimagine how educational excellence at a highly selective liberal arts college is delivered. He was an architect of this system, which proved successful in growing enrollment and enhancing the intellectual experience of students in and beyond the threshold of the classroom. The College House System was recognized by the Middle States Commission on Higher Education as a signature feature of Franklin & Marshall. President O’Day received his bachelor’s degree in political science from Millersville University in Pennsylvania and a juris doctor degree from Temple University School of Law in Philadelphia. He also completed the Management Development Program at the Harvard Graduate School of Education. Prior to beginning his career in higher education, President O’Day was a practicing attorney in Lancaster and Philadelphia, Pennsylvania. His wife, Cece, has been a high school English teacher and swimming coach for more than 25 years. Their son, Ryan, lives and works in the greater Boston area.